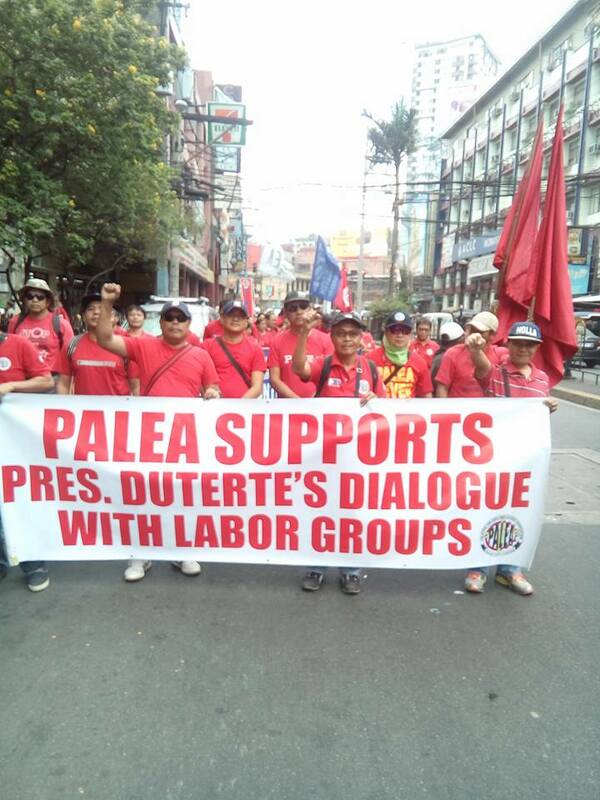 Workers are trooping to Mendiola today as labor leaders meet with President Duterte in a scheduled evening dialogue at Malacanang. “The President made a pledge to the nation that he will abolish contractualization. We need not remind him on this as he reiterated during the first en banc meeting of the National Anti-Poverty Commission (NAPC) convened last month that contractualization is anti-poor,” said Nagkaisa spokesman Rene Magtubo. Magtubo said labor groups were hopeful that the dialogue ends up with a firm action on the part of the President in implementing this major labor policy reform. “We believe a decisive executive action, not a compromise position with employers, is needed to stop the exploitation of contractual workers hired and placed by agencies and cooperatives,” said Magtubo. He explained that contractualization is indeed anti-poor as it allows “middlemen” (agencies and coops) to gain profit out of an immoral, modern slave trade. “These middlemen act as walls or physical barriers between workers and their principal employers, effectively denying the former of their rights to security of tenure and collective bargaining with the latter,” added Magtubo. The labor leader stressed that in order to realize President Duterte's promise, the general policy of employing workers should be ‘direct hiring’ with principal employers and not ‘contractual hiring’ with manpower agencies. Labor groups under Nagkaisa labor coalition, including the Philippine Airlines Employees’ Association (PALEA), Federation of Free Workers (FFW), Bukluran ng Manggagawang Pilipino (BMP), Partido Manggagawa (PM), Sentro ng Nagkakaisang Manggagawa (SENTRO) and National Federation of Labor Unions (NAFLU) will march from Morayta later today and will hold a program at Mendiola while the dialogue is ongoing. The dialogue is scheduled to start at 6:30 pm. The end endo demand reaches the level of the Office of the President as Nagkaisa and the entire labor spectrum in the country unanimously rejected several drafts of a new Labor Department order which they claim would allow and not prohibit the continued operation of agencies and cooperatives. The order was touted as a win-win compromise by the Department of Trade and Industry (DTI). “The controversial outsourcing program at Philippine Airlines (PAL) that led to the contractualization of some 2,400 jobs is a concrete example of the perils of the employer-backed compromise formula. 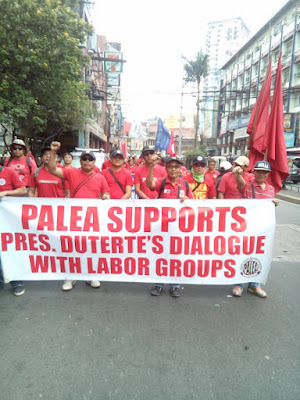 Aside from cheapening labor costs, PAL’s outsourcing scheme was also a maneuver to bust PALEA and continue the suspension of collective bargaining negotiations for 18 years now,” asserted Magtubo. He insisted that addressing the epidemic of contractualization needs a policy shift from the prevailing one. “The present policy of our laws and regulations pertaining to labor contracting is to ‘allow but regulate.’ But the results are a failure in terms of regulating the practice and protecting workers’ rights. The policy shift therefore is to ‘prohibit and criminalize’ contractualization,” said Magtubo. Last January, Nagkaisa submitted to the Labor Department their proposed draft of an order to prohibit contractualization. It is also in full support to the enactment of HB4444 of Rep. Raymond Mendoza (TUCP-PL) that calls for prohibition and criminalization of contractualization practices.